Green Cedar Dairy of Dearborn, Mich., is recalling Green Cedar Ackawi cheese. Samples of the product collected and tested by the U.S. Food and Drug Administration tested positive for the presence of Listeria monocytogenes. 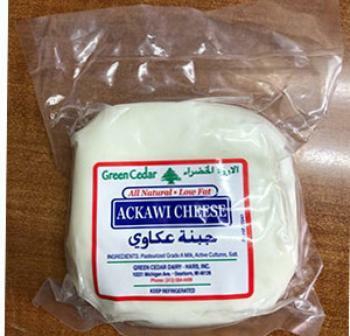 Green Cedar Ackawi cheese in small clear plastic shrink wrapped packaging bearing a “sell by” date of March 26, 2019, or later. The “sell by” date is on a white sticker on the back of the product. Customers who purchased the recalled products should not consume it, but discard it or return it to the place of purchase. Consumers with questions regarding the recall may contact Hussam Harb at (313) 584-4499, Monday – Friday, 8am – 4pm (ET).